Atlanta! 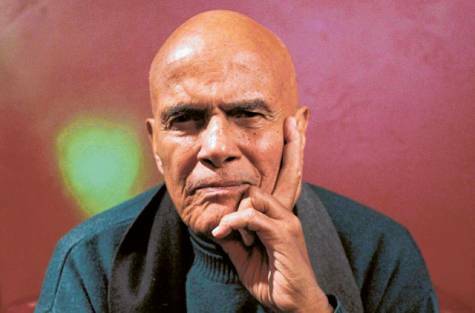 Hear Harry Belafonte Speak This Wednesday. You’re in luck Atlanta! This Wednesday, American icon Harry Belafonte will be appearing at the Carter Center to discuss his incredible life. Want a little preview? Here you go. Harry was born in Harlem in 1927 and from the ages of 5 until 13 he lived in Jamaica with his grandmother. He attended high school in New York City and then served in the Navy during World War II. After the war, while working as a janitor’s assistant, a tenant gave him two tickets to the theater as a tip. He not only fell in love with the theater because of this fateful encounter, he also met Sidney Poitier. The two became fast friends and due to their financial hardships, would often purchase single seats to local plays, trading places in between acts and filling each other in on the progression of the story line. Tags: Bob Dylan, calypso, Carter Center, Charlie Parker, Erwin Piscator, Harry Belafonte, Marlon Brando, Martin Luther King Jr., Max Roach, Miles Davis, Miram Makeba, Nana Mouskouri, Odetta, Sidney Poitier, Tony Curtis.